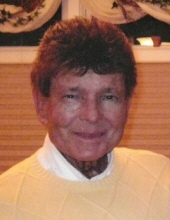 Gerald M. “Jerry” Boyance, 80, Marshfield, WI, passed away at his home on Saturday, April 13, 2019. A Mass of Christian Burial will be held at 2:00 pm on Wednesday, April 24, 2019 at Our Lady of Peace Catholic Church, Marshfield, with Rev. James Logan and Rev. Douglas Robertson officiating. Entombment will take place in Gate of Heaven Cemetery Mausoleum, Marshfield, where military rites will be conducted by American Legion Post 54 of Marshfield. A visitation will be held from 4:00 pm until 8:00 pm on Tuesday, April 23, 2019 at Rembs Funeral Home, Marshfield, and on Wednesday from 12:00 pm until service time at Our Lady of Peace Catholic Church. The Elks Lodge #665 will conduct a Lodge of Sorrow on Tuesday at 6:00 pm at the funeral home. Jerry was born on August 6, 1938 in Marshfield, WI to Matthew and Elizabeth (Gleisner) Boyance. He was a graduate of Columbus High School and the Eau Claire Barber College. Jerry was a veteran of the United States Army and the Army National Guard. He was in the 32nd infantry division and was qualified as a marksman, rifle M1. Jerry married Kathleen A. Strachota on August 31, 1963 at St. Joseph’s Catholic Church, Stratford, WI. They had one daughter, Lisa. Jerry was devoted to his family who were by his side when he passed away. Jerry was a talented hair stylist-barber. He loved people and socializing. He enjoyed the friendship of his clients, as well as the people he worked with. He also enjoyed golfing with his groups of golfing friends. He was a Packer, corvette and NASCAR fan. He loved spending time in AZ with his family and friends. He was a 50-year member of the Elks Lodge. He is survived by his wife of 56 years, Kathie and their daughter, Lisa Boyance of Waukesha, WI. He is also survived by his sisters, Janet (Lyle) Kolbeck of Marshfield, WI; Diane (Bruce) Rosenthal of Bluffton, SC; Marie Geiger of Appleton, WI, and Rosalie (Scott) Hartl of Marshfield. He is further survived by sisters and brothers-in-law, Shirley (Bill Zeigle) Graham of Bloomington, MN; Jeannie Granius of Green Bay, WI; James (LuAnn) Strachota, of Richfield, MN; Tom Strachota of Stratford, WI, and Jeff (Mary Anne) Strachota of Pewaukee, WI. He was preceded in death by his parents, father and mother in-law, Walter and Alvina (Schwabe) Strachota, brother-in-law, Peter Strachota and nephew, Joshua Strachota. The family wishes to give special thanks to Barb Lee, who always knew what we needed and those who offered their prayers and support to Jerry and us during his long illness. We would also like to thank the physicians and staff of the chemotherapy clinic at Marshfield Medical Center, and the Ascension in-home PATH and hospice teams for their support and assistance. Memorials may be made in Jerry’s name to the Wisconsin Honor Flight to honor veterans for their service. He was unable to take the Honor Flight due to his extended illness. Memorials may also be made to MAPS (Marshfield Area Pet Shelter). Jerry loved animals, especially his cats, Gracie and Greta, whom were found abandoned along the roadside. Loving and kind in all his ways. Upright and just to the end of days. Sincere and true in his heart and mind. A beautiful memory he left behind. He had a nature you could not help loving. A heart that was purer than gold. And to those who knew him and loved him, his memory will never grow old. "Email Address" would like to share the life celebration of Gerald M. "Jerry" Boyance. Click on the "link" to go to share a favorite memory or leave a condolence message for the family.